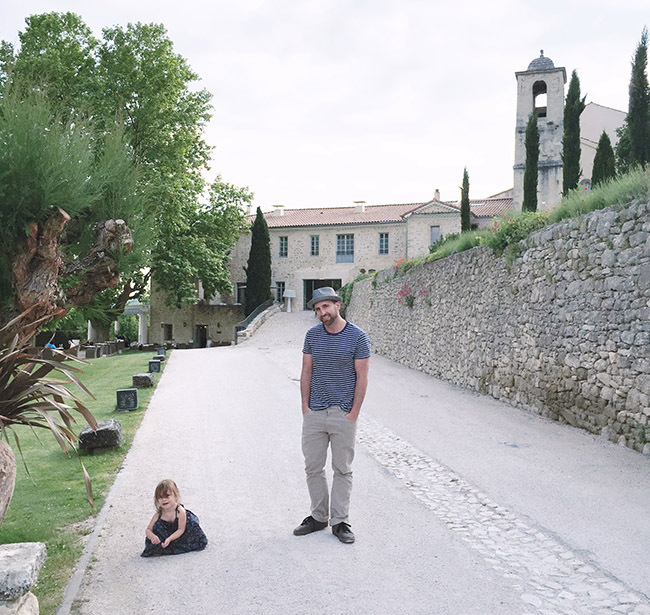 Today I’m excited today to share the last stop on our recent European travels – Provence, France! 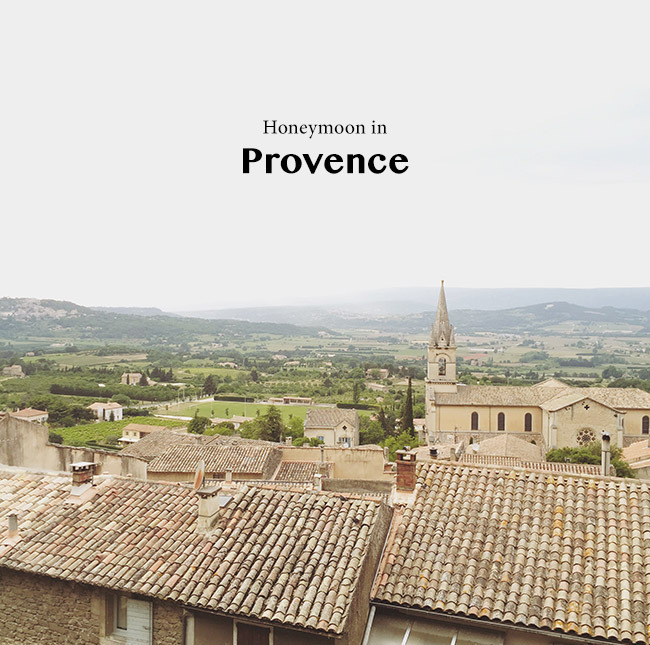 I’ve always wanted to visit Provence. 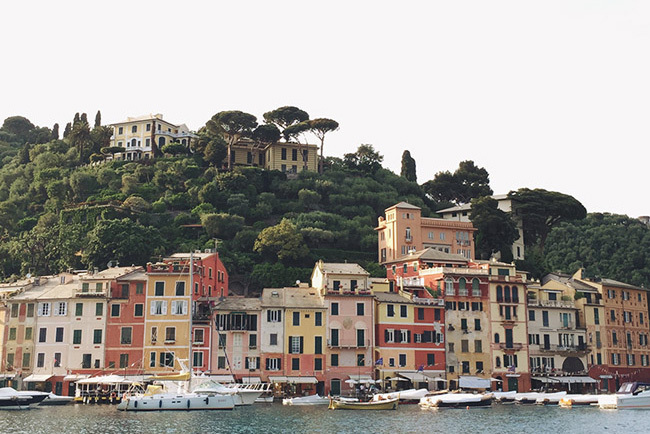 As I imagined, this beautiful setting in the south of France was the perfect way to end our trip (be sure to check out the our posts on Mallorca, Paris, Amsterdam and Portofino). When you visit, I highly recommend renting a car. In our pics, you’ll notice gorgeous sprawling landscapes in every direction, which means that everything is pretty far. 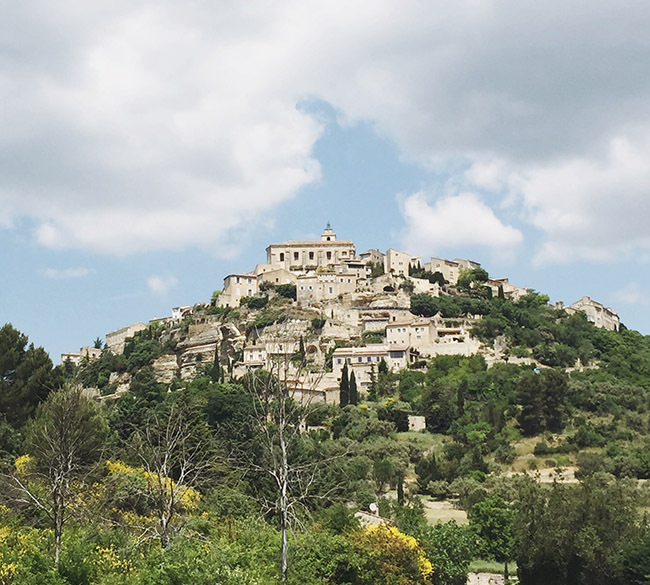 Day trips to the lovely neighboring villages of the region are quite popular and having your own car is the best way to do this…be sure to mind the bicyclists, they’re everywhere taking in the views while getting in great hill workouts. 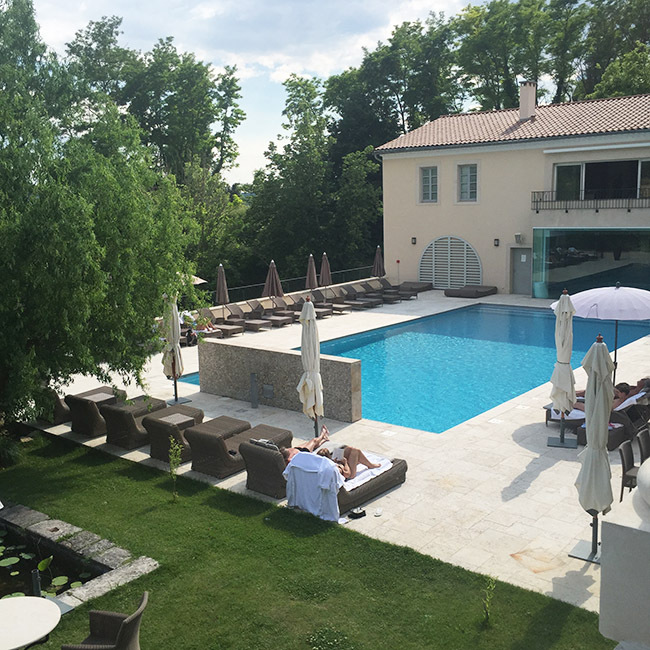 Thanks to our friends at Mr & Mrs Smith Hotels, we stayed at the amazing and beautifully decorated Le Couvent des Minimes Hôtel & Spa in Mane, France. The hotel is a former convent dating back to 1613!! 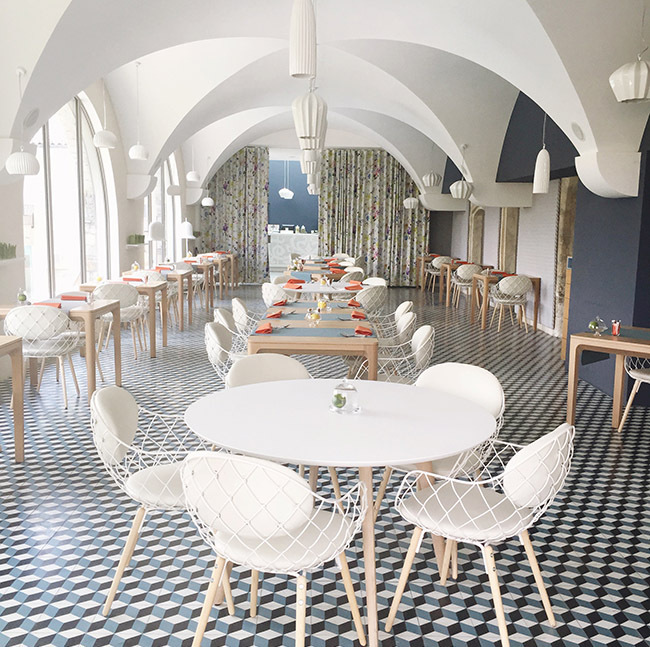 I loved the juxtaposition of the historic convent against the super hip interior design – especially the lobby and breakfast area. 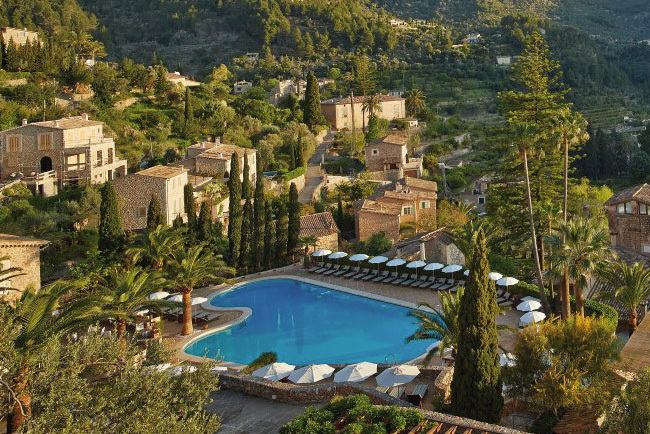 The hotel also has a gorgeous pool – not the pic below, we’ll show it a bit later :) – and lavender fields (unfortunately we were a few weeks too early to see the lavender!). They have two pretty amazing restaurants on site or you can take a quick 10 minute walk to the village of Mane. Bonus, the owner is so incredibly nice. We ran into him in the lobby each morning to discuss our activities of the day prior and he would offer advice on our activities for the day. His advice was spot on and so valuable since it was our first time in the region. Isn’t that lobby just amazing?!! 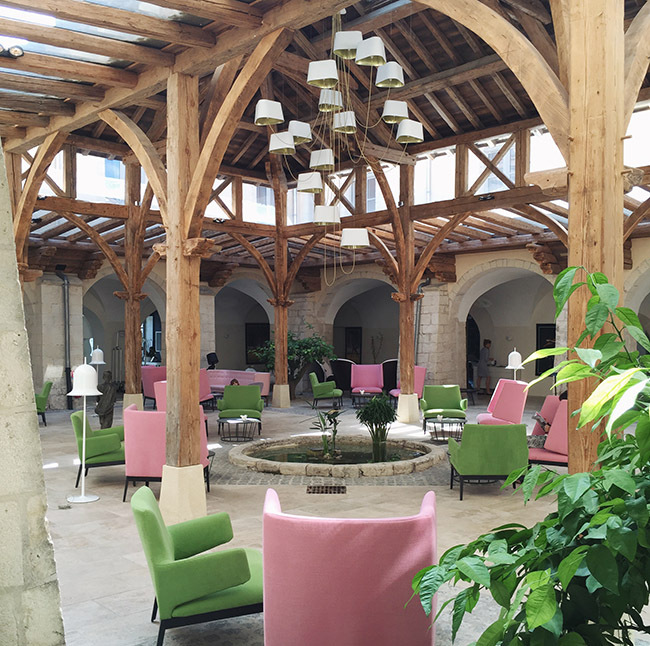 Love those pink + green chairs! We really enjoyed sitting on the terrace for breakfast and the garden for an early evening cocktail and a quick game of bocce ball. 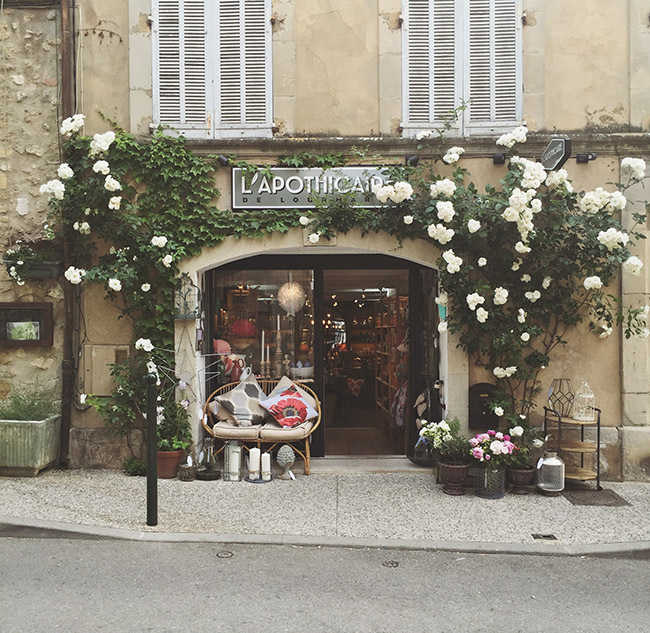 Provence is so great for a relaxing trip and a nice change of pace after visiting more popular and crowded travel destinations in Europe. 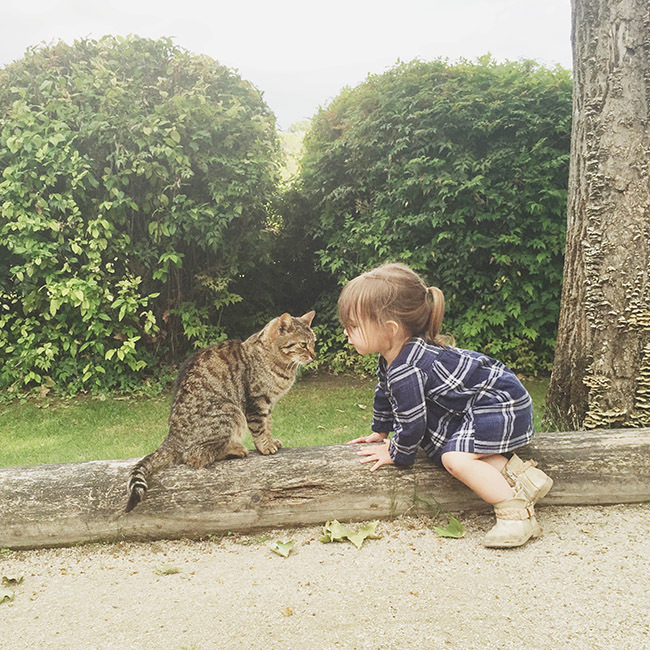 Once we arrived, we definitely took advantage of the quiet and enjoyed our time relaxing as a family at the hotel walking their gorgeous grounds – with a glass (or 2 or 3!) of rosé. 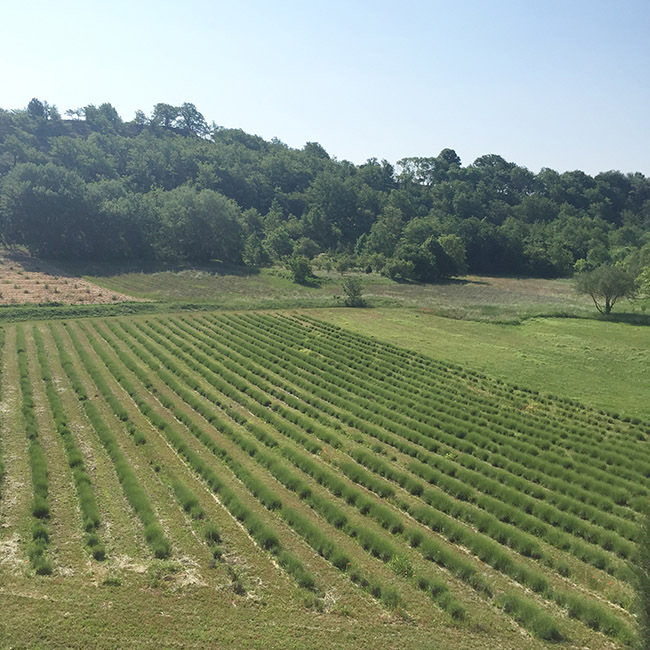 We didn’t get a chance to check out their L’Occitane spa but it looked pretty amazing too! 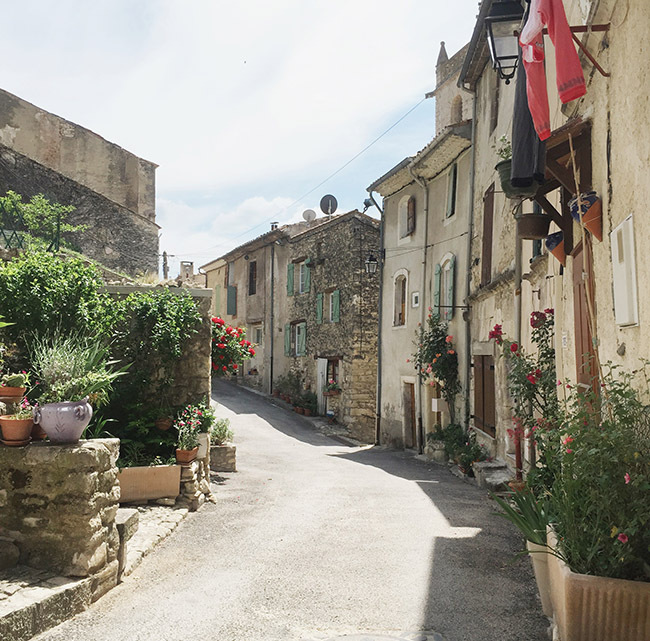 The hotel was located in the small village of Mane and it was just the prettiest little town! Also, when I say it is a small village…..I mean small – just a few restaurants. So we ate most of our meals at the hotel. Totally missing all those blue + purple shutters and doors! So pretty, right?! 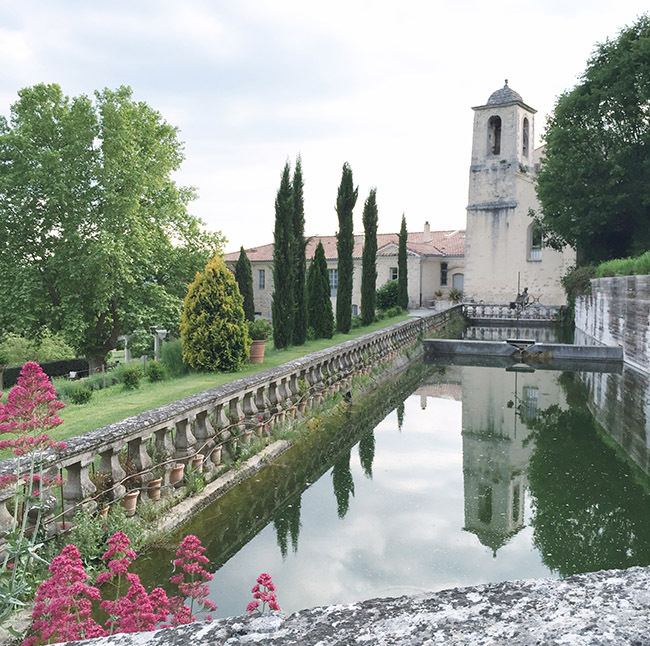 The town of Forcalquier is much larger and just a 10 minute drive away. The largest farmer’s market in the area is held there every Monday and we were lucky enough to be in town that day and stopped by. We picked up some pretty amazing olives, strawberries and baguettes. Honestly, those strawberries were SOOO good – probably the best strawberries I’ve ever had! 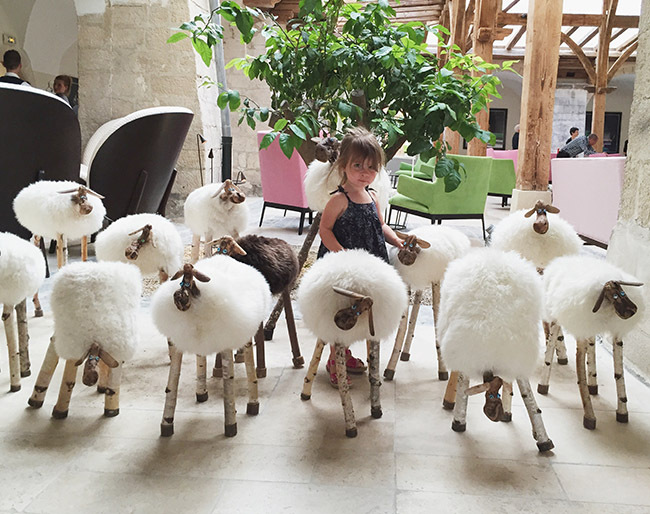 Best activity to do in Provence? (well, besides sitting outdoors and drinking rose! ), village hopping! There are so many amazingly cute villages. 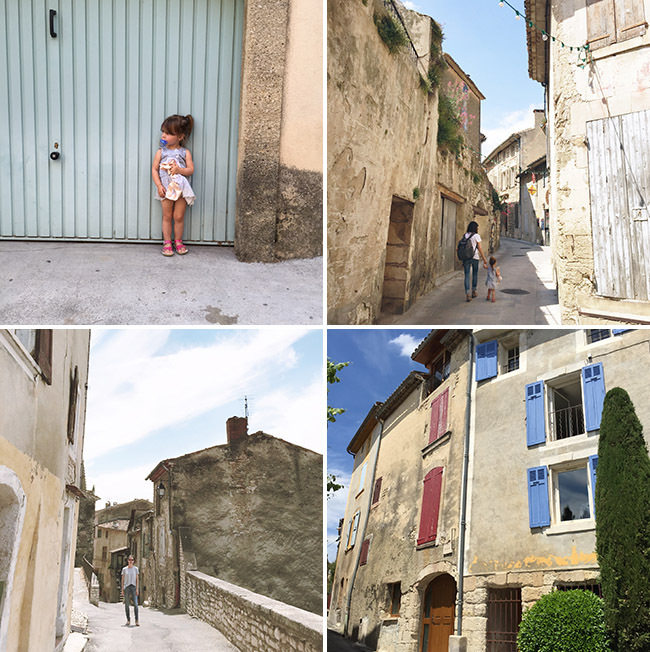 We were lucky enough to visit quite a few, so I’ll share our itinerary for a day of village hopping which I would totally recommend – if you are here for a few days, you could check out even more! We took a short walk, enjoyed a cappuccino then we were off to the next town. 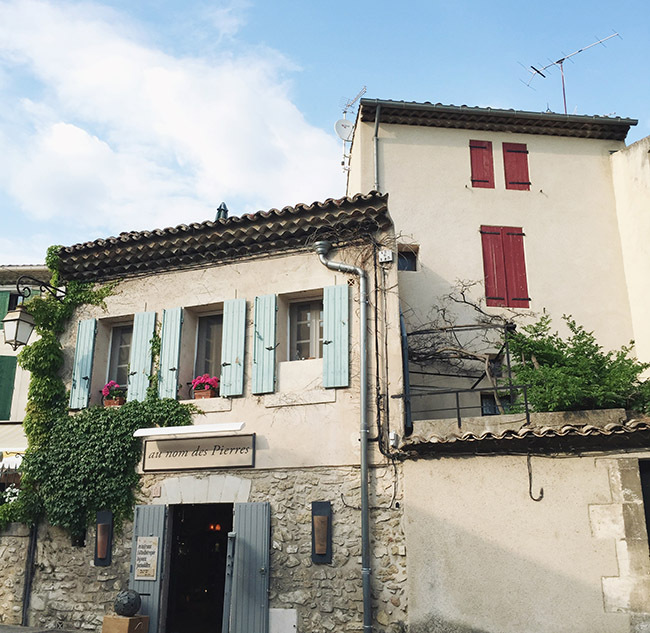 :) Next up was Ménerbes where we had a seriously perfect lunch at Le 5 . Their was a DJ spinning French mixes of indie songs, delicious food (I had an artichoke pasta that was out of this world and Jason had a steak), and then the view! 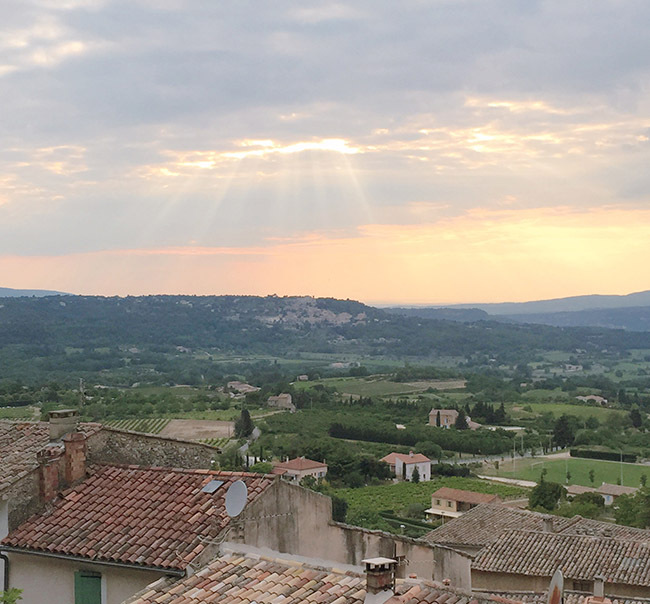 Le 5 has probably the best terrace in Ménerbes with a gorgeous view of the valley. Pretty amazing lunch spot if you get the chance to dine here. :) The town is super small too, but really pretty. For dinner we drove back to Bonnieux (we passed this town on the way to Lourmarin) and recalled seeing a pizza place (Brasserie Les Terrasses) with a terrace that had the most stunning views of Provence. The pizza we had here was definitely nothing to get excited about, especially after having so many great pies during our trip. However, enjoying their wine with probably one of the most amazing dinner views you can find in Provence blew us away. 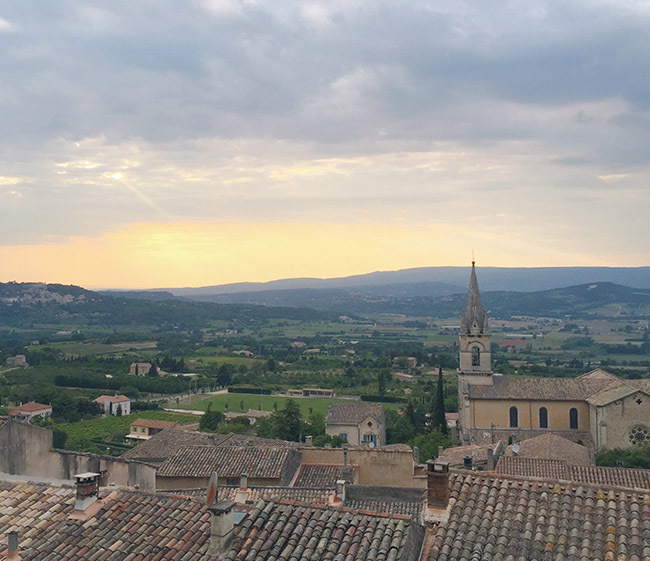 If you visit Provence, I highly recommend a sunset drink and/or dinner here – the view is one you won’t forget….these photos don’t even do it justice! This view was like looking out into a painting you guys!! Miss it…. 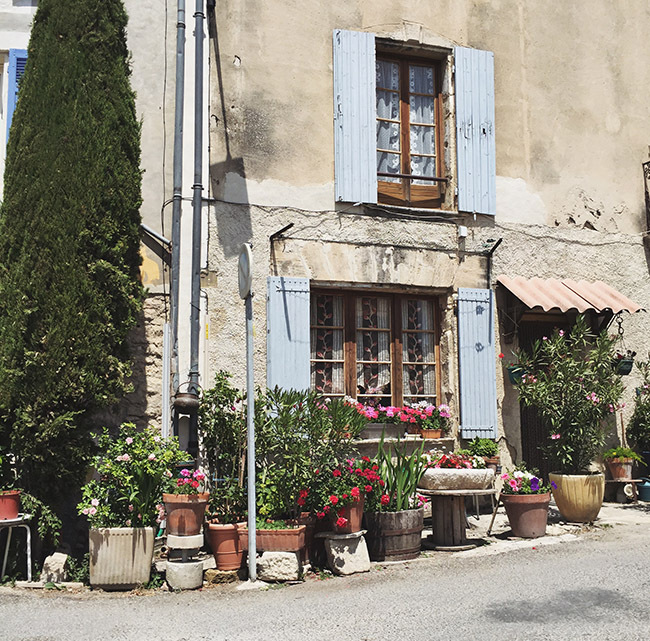 For scenic vistas, visit Sisteron, a commune located between two long mountain ridges – there’s an ancient citadel to explore, winding narrow streets and a 12th-century cathedral. 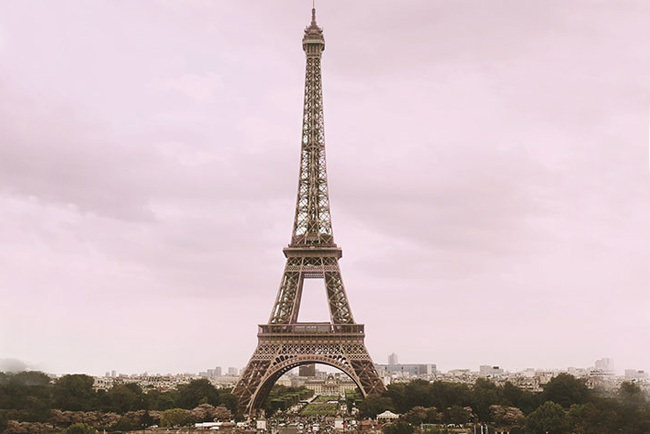 I hope our recent travels to Europe helps inspire your honeymoon, anniversary trip, family trip – or maybe even just a girlfriend’s getaway. 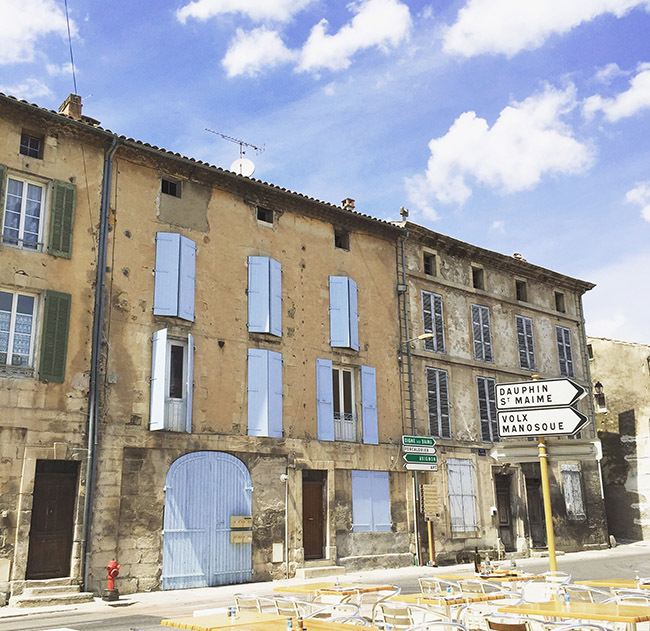 Thanks again to Mr & Mrs Smith for helping us find the perfect hotel in Provence and click here to learn more about how they can help you plan your dream honeymoon…if that might be to Provence or somewhere else magical as they have hotels all over the world! Inspiring and dreamy! What a beautiful place to visit. love this stile, simple and elegant. Such a beautiful place to visit and spend with your loved ones. Will surely bring out more love in the air.